Find out all you need to know before buying Bengal kittens! Do they make a good house cat? Are Bengal kittens territorial? Does this breed shed a lot? 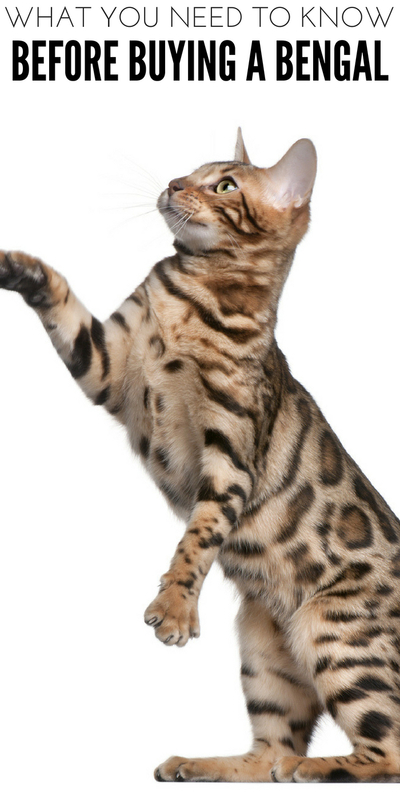 Let me help answer your questions to see if the Bengal cat breed is a right fit for you and your family. Let’s take the time to answer some questions so when you make the purchase you have the best idea if this is a good cat breed. I love their unique coats, soft fur, and adorable faces. 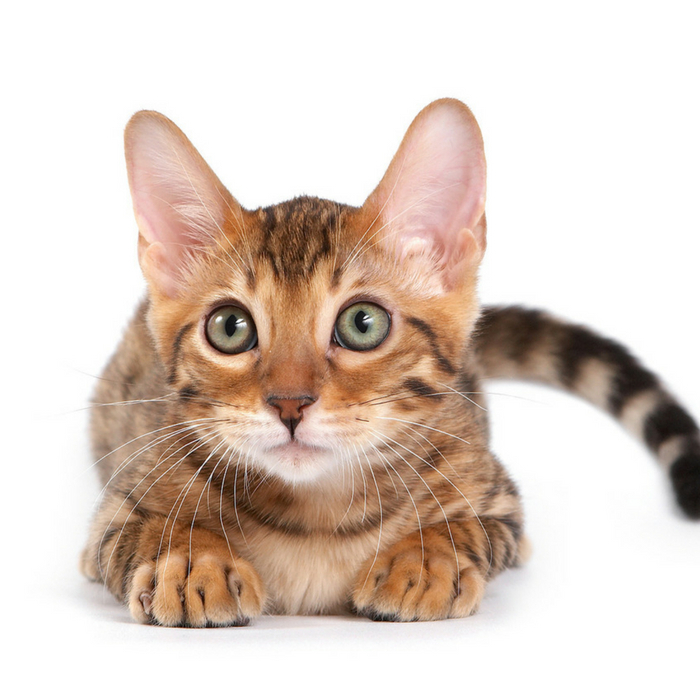 Here are some things you might want to know before you invest in a Bengal kitten or cat. A beautiful breed that has a lot to offer potential new owners! I personally have never bought a purebred cat. While I love the looks of them and the idea of a purebred we have always had cats that were given to us, had them dropped off at our house to take care of, or adopted. Sadly living in the country you see so many people dumping animals to fend for themselves or die. So we try our best to give all the cats and dogs love and kindness when they end up at our home. First, let’s start at the price point of Bengal kittens. They can range anywhere from $1000-$2400. Depending on their coloring and markings on their fur will play a factor on the price. They are an investment that is for sure. Some owners have shared that they find their cat can be territorial over time. As they grow they become more territorial over time. So if you want more than one animal or a cat and a dog, it is recommended to get them at the same time, as babies. Introducing an animal, later on, can be hard. BUT, not all Bengal cats show the sign of being territorial. The average lifespan of this cat breed is anywhere from 14-16 years. Bengals are relatively healthy as a breed and live a pretty long life. Be aware of the breeder you buy from as some health issues are hereditary. Cataracts, hypertrophic cardiomyopathy, and retinal atrophy are the top health concerns. There have been no proven studies shown that this breed is any more aggressive than any other breed. It all depends on how you raise them and the cat themselves. As every cat has their own personality, it is easy to see a wide difference from cat to cat. Thankfully this is a breed that sheds very minimal. You won’t struggle with their hair loss like other cat breeds that seem to shed a tremendous amount. If you want minimal hair maintenance this is a great breed. The Bengal cat breed is very smart. You can work on training your Bengal kitten from a young age and watch them pick up things and grow. From leash training to tricks, and all things in between. Overall this breed is a very good one to consider. While the price point is a bit higher for some, they are a great breed to consider bringing into your home. Share a little about your Bengal below if you own one!